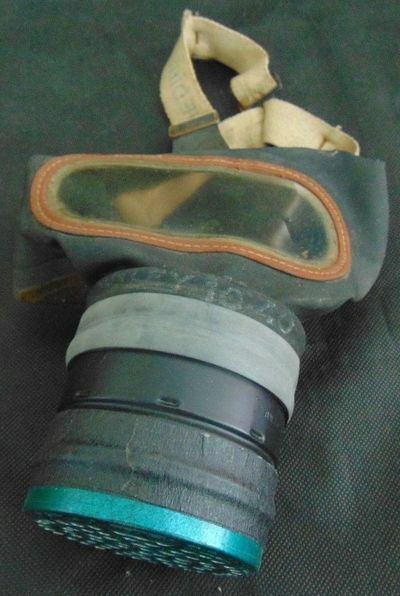 The General Service Respirator (GSR) featured a hose connected to the filter and provided more facial coverage. 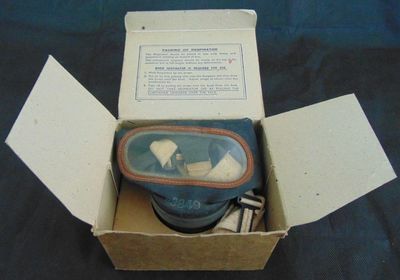 WW2 General Service Respirator (GSR). 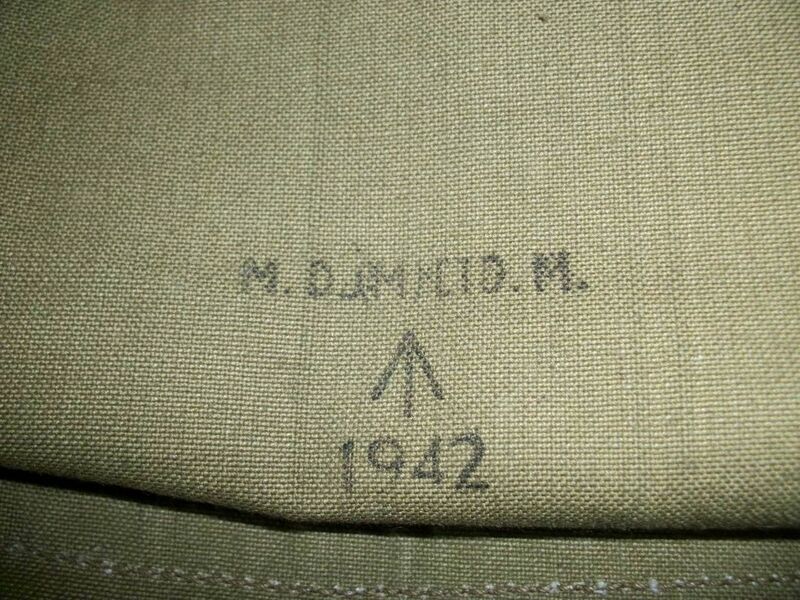 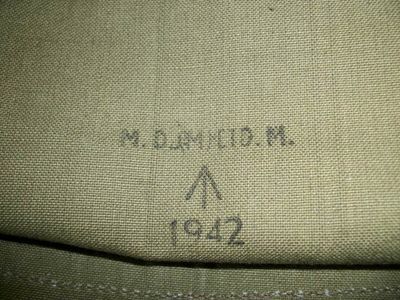 WW2 General Service Respirator (GSR) Mk.VII carrying bag. 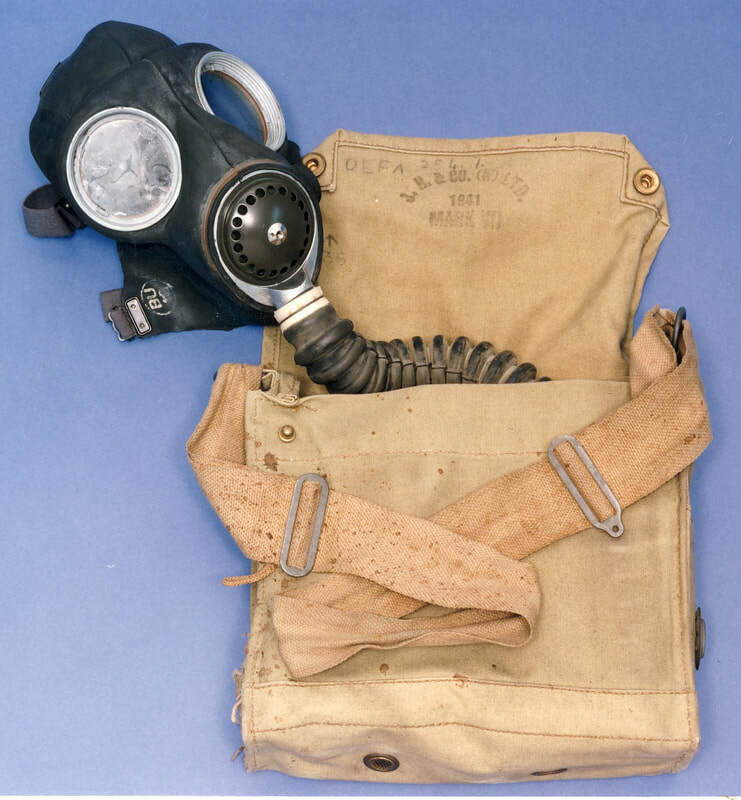 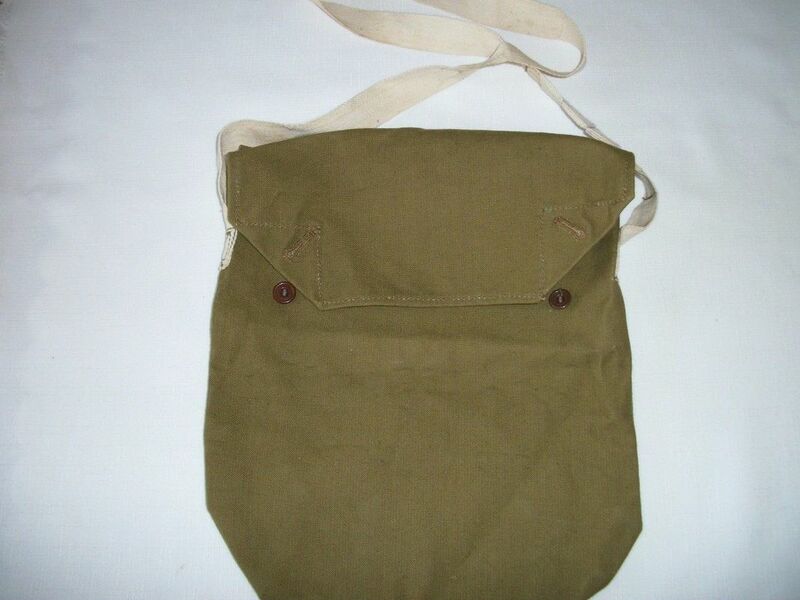 WW2 General Service Respirator (GSR) Mk.VII carrying bag (front). 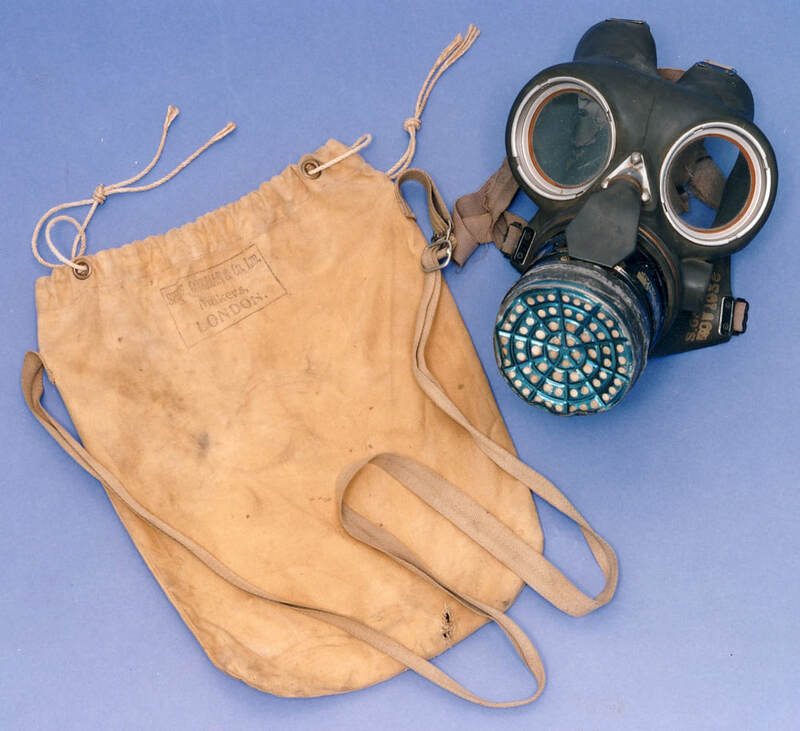 WW2 General Service Respirator (gas mask) and Bag (Caring on the Home Front). 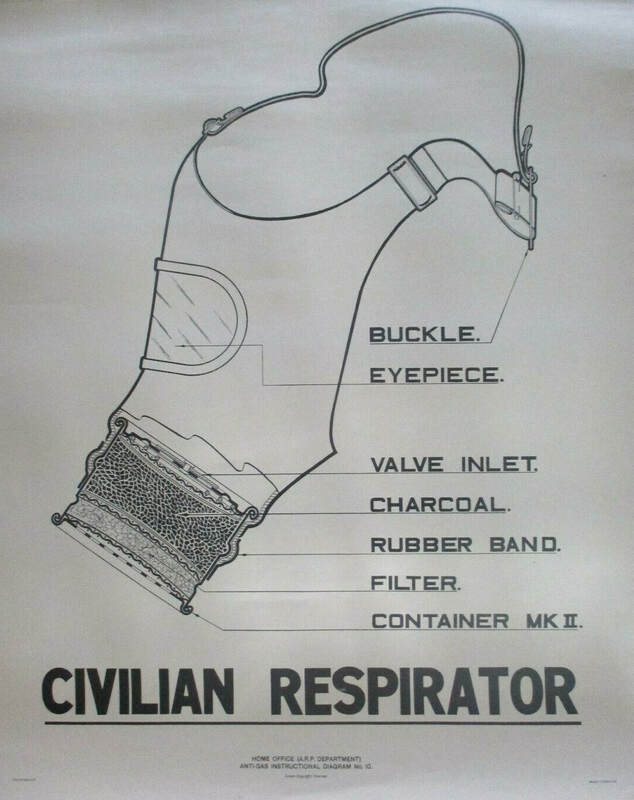 Civilian Duty Respirator gas masks were issued to all members of the Civil Defence services not issued the above. The carrying bag was a simple cloth bag with shoulder strap - many variations in design exist. WW2 ​Civilian Duty Respirator (gas mask) (Caring on the Home Front). 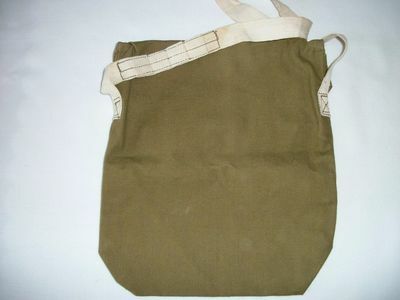 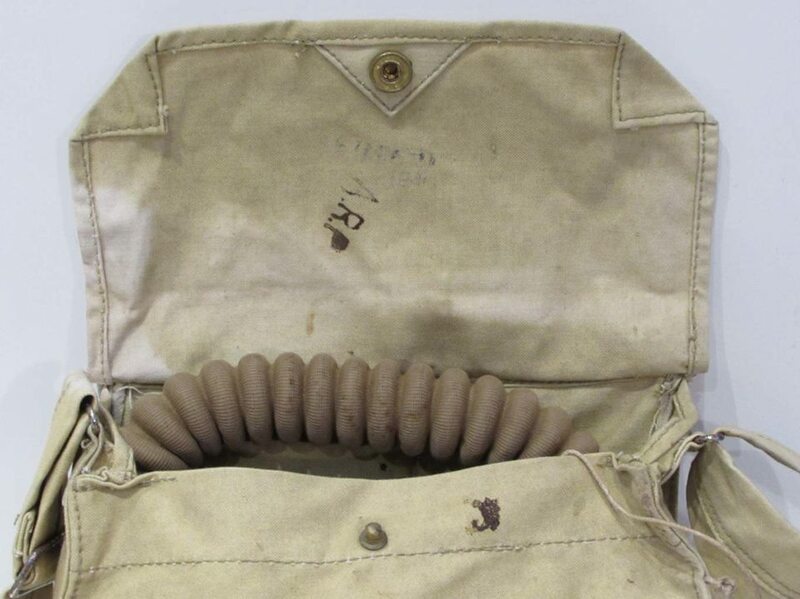 This simple sack was used to carry the Civilian Duty Respirator. The bag was closed with a flap and two buttons. 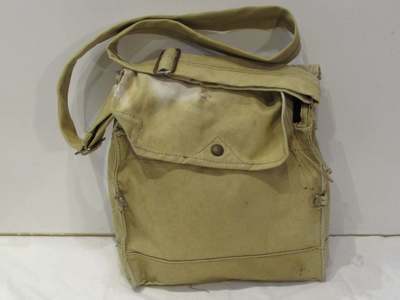 The white cotton shoulder strap was siupllied with a section that had been sewn so that by undoing a section the length of the strap could be increased. 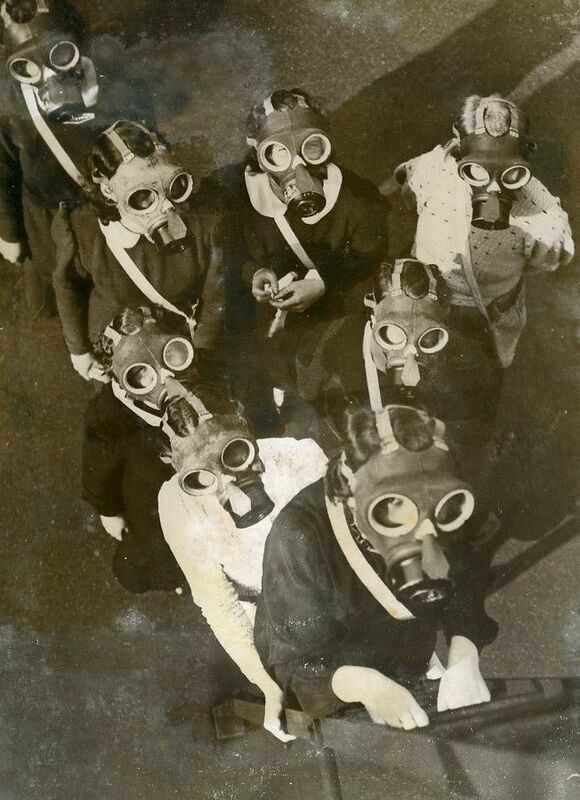 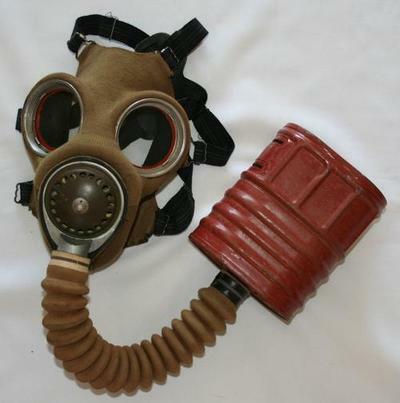 This was the type of gas mask issued to the general public (adults and children) prior and during the second world war. 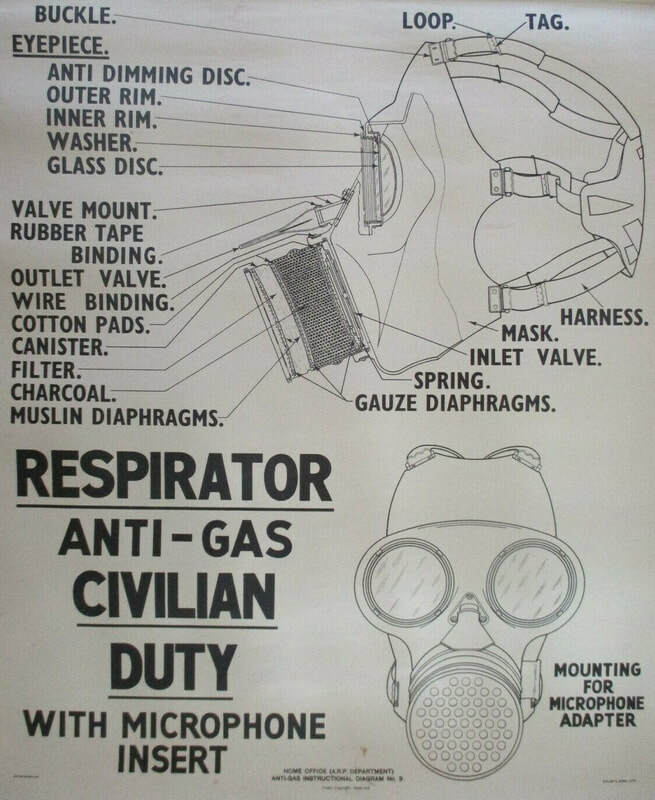 The Ministry of Home Security released a number of educational and instructional poster during the war. 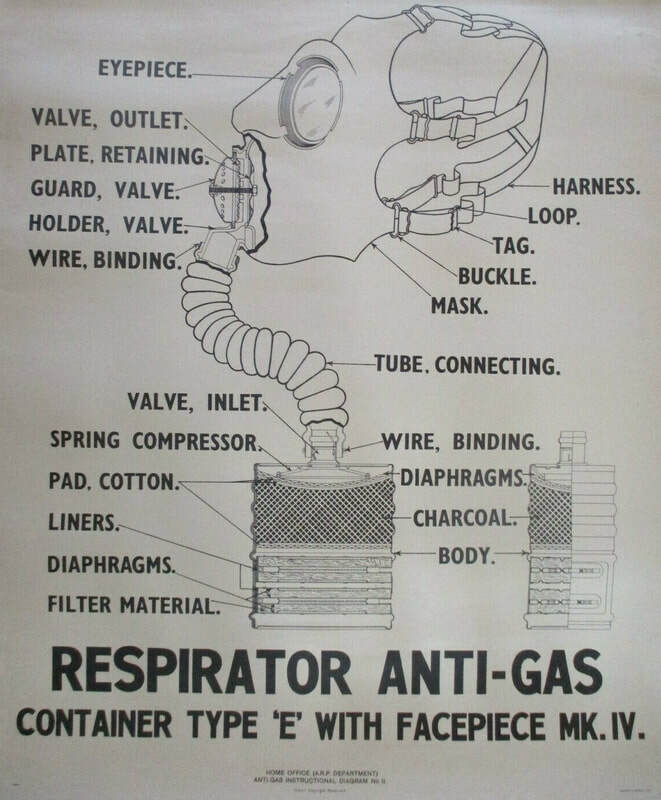 The below three posters covered the main gas masks in circulation.